… The topic of dangerous patient bears revisiting from time to time, both because there are new readers and because the topic is often one of the more troubling aspects of practice for mental health practitioners, regardless of the setting in which one works. It is troubling because it may require or permit communications by the therapist or counselor to third parties, whether the police, a threatened victim, a family member, a friend, or another health care provider or health facility. Some of these communications may run counter to the instinct to abide by the duty of confidentiality, to the concept of privileged communications, and to the need for patient privacy. Also, in many cases involving threatened harm by a patient, the therapist-patient relationship may be severely affected, leading to an “unnatural” termination of the professional relationship. Suppose the following circumstances were to be faced by you – how do you think you would act? Your patient threatens imminent and serious physical violence against her partner during a session. You believe that your patient could carry out the violence in the next few days, and believe that the patient needs intensive evaluation and treatment. Your patient has communicated freely in session and you have had a good relationship with her for the past year. Do you notify law enforcement and break confidentiality – thereby subjecting your patient to the criminal justice system and the disruptive consequences thereof, which could be substantial? Do you attempt to warn the intended victim? Do you do both? What if you thought that hospitalization was most appropriate under the circumstances? Which course of action might (or should) you take? While many might instinctively say that the latter option seems to be the best option for the patient and seemingly a pretty safe and responsible option for the therapist, it is not always easy for the practitioner to decide upon the best option in any particular case. The answers to the questions posed above depend upon the answers to some other questions that may first need to be asked and answered. Do you desire to act from a clinical perspective and in the best interests of the patient or client by preserving confidentiality as much as possible? Or, do you desire to act in your own best interests first? Are these options mutually exclusive? Is there a law in your state of licensure and practice that provides immunity from liability for taking one or more specified actions? Are you required or permitted by state law to take one or more actions that would result in your breaking of confidentiality in an effort to protect the intended victim? Suppose the law in your state provides, as does the law in California, that you are entitled to immunity from liability if you make reasonable efforts to communicate the patient’s threat of violence to the intended victim and to a law enforcement agency. I have spoken with many practitioners over many years who have been clear with me that they desire to do what is in their own best interests first – and that if the law provides immunity from liability when one or more specified actions are taken, they are desirous of getting the protection that the law affords in such difficult and volatile situations. In some states, it may be that hospitalization alone or some other action(s) will earn the practitioner immunity from liability. Practitioners should know whether an immunity statute exists in their state, and what action or actions must be taken in order to be entitled to immunity from liability. 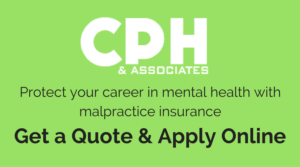 Practitioners in California must decide whether they are going to opt for immunity from liability (a comfortable position to be in), or whether they are going to do what they think will be in the patient’s best interests – for example, hospital evaluation and treatment, whether voluntary or involuntary. Practitioners in other states may face similar options (dilemmas), depending upon state law. While there are many practitioners who, when faced with the situation, will opt for immunity from liability, there are others who may decide to forego immunity if the actions required to attain immunity conflict with the best interests of the patient and if there are reasonable alternatives. This is not an easy decision for most practitioners because there is a natural instinct to protect oneself by opting for the “safe harbor” that the law provides. Interestingly, there may be circumstances where acting within the “safe harbor” (the statute that grants immunity from liability for certain actions) may not be enough to prevent the harm, but it may be enough to attain immunity from liability. For example, if the practitioner in California takes both actions (makes reasonable efforts to warn the victim and notifies law enforcement) after the patient communicates a serious threat, he or she is seemingly immune from liability. Suppose, however, that when the practitioner notifies the police, the police say that they cannot do anything until there is an actual attempt to commit the crime. And, suppose further that the reasonable attempts to notify the victim were unsuccessful. These outcomes are not uncommon. Thus, a practitioner may have done what the law requires for the grant of immunity, although he or she may not have done enough (acted reasonably) under the circumstances! It is my view that hospitalization, either voluntary or involuntary, is often an appropriate and reasonable action that preserves the patient’s confidentiality and allows for a more intensive evaluation and treatment regimen. In such circumstances, it is important for the practitioner to establish good channels of communication with the facility and its practitioners so that all are kept informed of the patient’s condition, and so that adequate plans can be made for an appropriate discharge from the facility. Depending upon circumstances, the practitioner may, at the time of discharge, have a duty (or a right, depending upon state law) to take other action to protect the intended victim if the danger persists. Of course, the hospital should not (and hopefully would not) discharge people they believe present a danger of imminent physical violence. The hospital should keep the practitioner who initiated the hospitalization informed of the clinical details, especially upon discharge, so that the danger can be properly assessed. Hospitals do not always do this, and practitioners sometimes don’t push hard enough. It should be understood that merely because the practitioner may not be entitled to immunity from liability granted by applicable state law, it does not necessarily follow that the practitioner will be found to be liable if the lawsuit proceeds to trial. In other words, if the therapist is found to have used reasonable care to attempt to prevent the threatened harm (or complied with the duty, if any, extant in his or her state of practice), the therapist should seemingly have little or no liability, but may have to endure a multi-year process that ends in settlement or trial. It is important to ascertain whether state law allows the practitioner to take such action that he or she deems reasonable under the circumstances, or whether state law mandates certain actions under specified circumstances. In California, for example, psychotherapists are still governed by what I call the “Tarasoff duty,” which is not a “duty to warn,” as many have mistakenly written or understood, but rather, a duty to use reasonable care to protect the intended victim against the threatened danger. The discharge of this duty will vary with the facts and circumstances presented in each case. In other words, practitioners may take one or more actions intended to protect the victim. The California immunity statute, referred to above, was recently amended to make clear that the two actions required to get immunity from liability (when the patient has communicated to the therapist a serious threat of physical violence) are not necessarily the actions that must be taken in a particular case. In other words, there is no statutorily imposed duty to take a particular action, but immunity from liability can only be achieved by doing what the law granting immunity requires. Each state treats the dangerous patient differently, and there are many nuances to consider. For example, is the duty of a therapist or counselor the same or different for patients who are dangerous to others and for those who are dangerous to self? In California, for example, the so-called “Tarasoff duty” does not apply in cases involving self-inflicted harm. While there is no “Tarasoff duty” in such cases, the therapist is permitted to make disclosures to others if deemed necessary to protect the patient from suicide or other threatened self harm. Of course, the practitioner is under a duty to provide reasonable and competent care to the patient. What about patients who are a danger to property – how is that handled in your state?